The adult mouse is small and slender and about 1-2 inches long, excluding tail. The house mouse has large ears, pointed nose and small eyes. The tail is as long as the head and body combined. The adult mouse is small and slender and about 1-2 inches long, excluding tail. The house mouse has large ears, pointed nose and small eyes. The tail is as long as the head and body combined. The fur color varies, but it is usually a light grey or brown, but could be darker shades. It has an overall coloration. 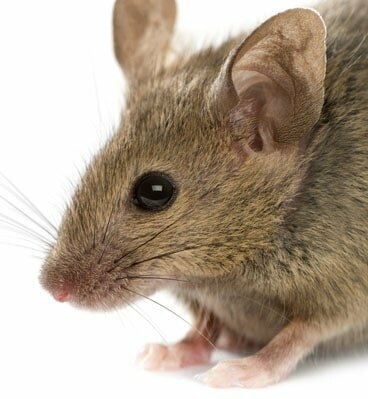 House mice have a characteristic musky odor that identifies their presence. A mouse will eat almost anything, but prefer cereal grains, seeds, or sweet material. They require very little water, obtaining most of their water needs from their food. House mice in a city environment may spend its entire life in buildings. In rural and suburban settings, it may not only live inside, but be found outside near foundations, in the shrubbery, weeds, crawl spaces, basements, or in garages. A house mouse can squeeze through openings slightly larger than ¼ inch across. House mice frequently find their way into homes in the fall of the year, when outdoor temperatures at night become colder. Their food supply is shortened by the colder months so they move inside nesting closer to a food supply. They make their nest from soft material like paper, insulation or furniture stuffing. These nests are found in many places including: in walls, ceiling voids, storage boxes, drawers, under major appliances, or within the upholstery of furniture. Outside the nests are found in debris or in ground burrows. If there are good living conditions (food, water, and shelter), they can multiply rapidly. They mature in two months, producing about 8 litters in a one-year lifetime. Each litter has 4-7 pups. 1.) We will locate any entrance points and mechanically block these off so further pests cannot get in. 2.) Then we will put out tamper proof baiting stations to deter pests from visiting this area. 3.) If you have trouble with rodents inside your home, we will put traps inside your home for you. *We recommend you do NOT use rodent bait inside your home.